Americans have a long love affair with peanut butter. Europeans know this. When you come from Italy, or France, or Spain, or even Germany and Switzerland, you come from cultures that appreciate fine food. Real food. Thanks to the likes of corn dogs, Twinkies, fried everything, spray can cheese, spaghetti-O’s, and jello, Europeans are not impressed by American cuisine. In fact, there is a certain level of suspicion. I’m not sure why, but peanut butter is on that list. Perhaps it’s because of peanut butter and jelly on white bread sandwiches, which in the mind of a European, should not be consumed by anyone over the age of 6. To the horror of bystanders, Americans in Europe, from 6-60, are regularly seen pulling ziplocks out of their packs and devouring sticky PB&J’s. 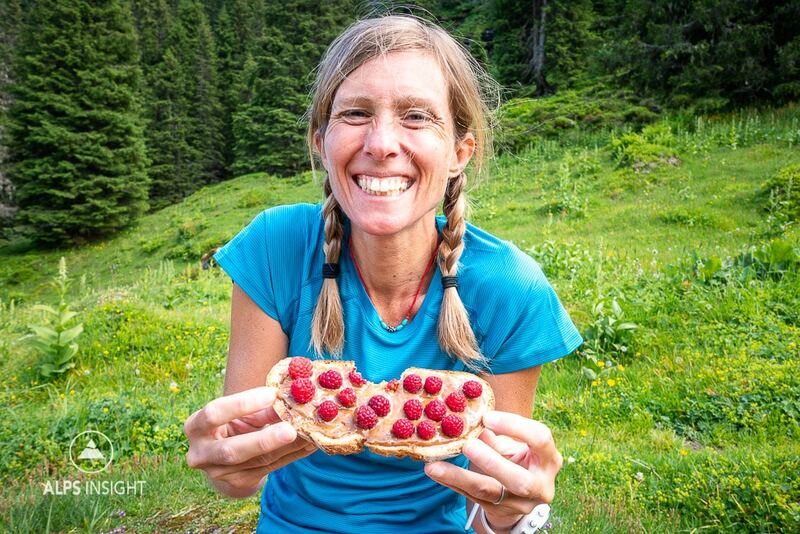 A trail runner’s version of a TB&J, Trail Butter with wild, trail side fresh raspberries. This might be a part of peanut butter’s image problem. In addition, nearly every peanut butter jar for sale in Europe has a gaudy American flag, bald eagle or Uncle Sam on it. I’m taking it upon myself to help improve the image of peanut butter, and nut butter in general. But more specifically, Trail Butter. Why? Because my friend Jeff Boggess, owner of Trail Butter, informed me that he’d like to begin European distribution for his wildly successful (not just in the US, but in Japan, where apparently they’re cool with PB&J’s) product. 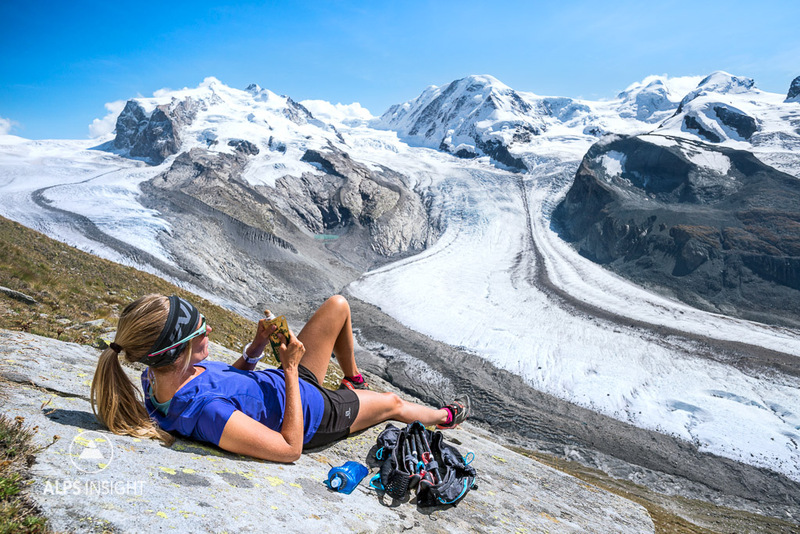 So, let’s introduce why Trail Butter is so great, and why you, as a mountain athlete, will especially appreciate and benefit from what it’s all about. If you have bread along, you’re always sandwich ready. Like Nutella, but with options. And, it’s available in a squeeze pack. That little 128 gram squeeze tube packs 800 calories, 68 grams of fat and 20 grams of protein – what you need for big days in the mountains. At home, add it to your muesli with yogurt, honey and fresh fruit for extra protein and heart-healthy fats. In Europe, Studentenfutter is a popular snack. TB takes Studentenfutter one step further by adding the option of chocolate and coffee to nuts and dried fruits. But, all blended up into a rich cream. 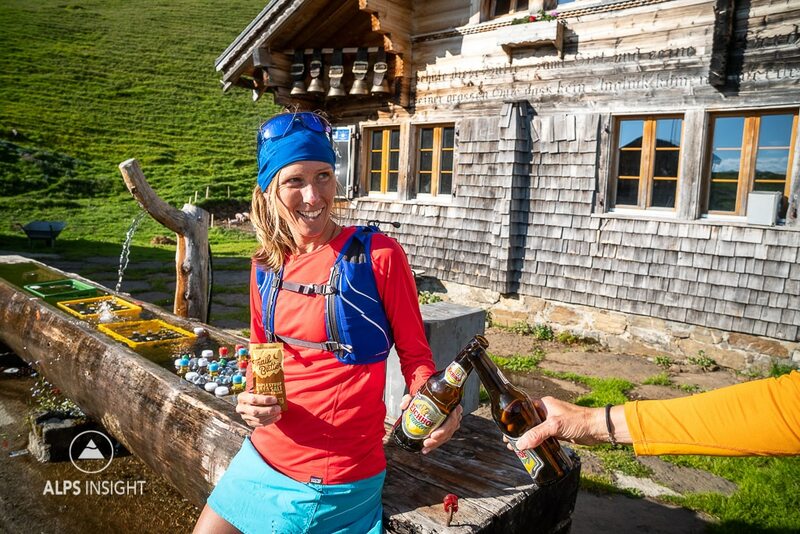 Fellow Trail Butter Ambassador, and two-time UTMB winner Krissy Moehl, packs Medjool dates with Trail Butter for a slow-burn/quick-burn combo on her ultras and long trail adventures. You’ll be carrying around a spread that has the potential to make most any food, even in Europe, better. Thanks to an optimal balance of healthy fats, protein, antioxidants and fiber, plus being easy to digest, Athletes benefit from eating nuts. They are a slow burning energy source that when combined with carbohydrates, make for great fuel. Combine Trail Butter with a favorite cookie or fruit and you’ll have simple sugars as the quick fuel while the fats and protein are utilized over a longer period of time. The thing I notice… no sugar high, and better still, no sugar low. As a true fuel source, nut butters keep you going and balanced over a long period of time. At the end of the day… what do we enjoy with a beer? Nuts, right? Well that little bowl of nuts just gets replaced with a nut butter that also does all of the above. Finally, Trail Butter does not contain peanuts! It’s not peanut butter, instead, it’s a mix of nuts including the far more sophisticated almond. After a big day trail running in the Himalaya (see this Story)… You know it’s been a good day out when you have a pile of Trail Butter wrappers to show for it. For vegetarians and vegans (seen here) – travel with protein at the ready. 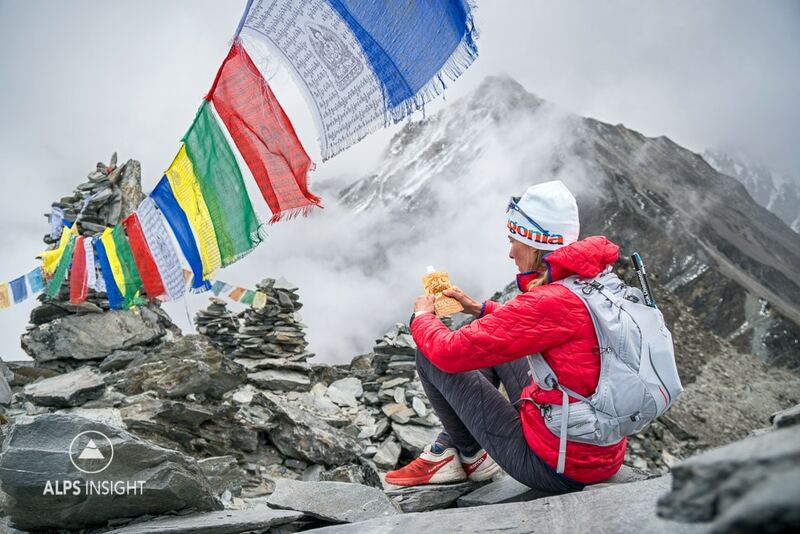 Trail Butter and Nepali pancakes. Trail Butter works, and it’s been fun to share why! If you’re a European reading this, I hope you find some in your local shop, soon! So what we did 8 years ago didn’t rise the likes for PB&J’s in Europe? Hi, where to buy in Europe? It’s being worked on right now. Hopefully in 2019! The Dutch have a looooooooooong history with peanut butter. In fact, this is where my parents stocked up on this stuff when I was a wee kid, 40-something years ago, back in the day when you couldn’t find this in local (Belgian) shops. I grew up on PB&B sandwiches. Never quite liked the PB&J variety though.